This article is about the collectibles found in Super Mario 3D World. For other uses of "Stamp", see Stamp. 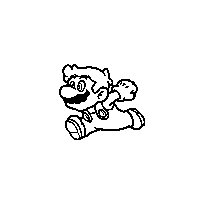 Stamps are collectibles that appear in the Wii U game Super Mario 3D World. 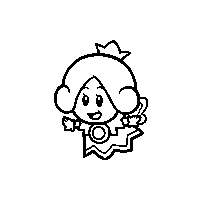 There are eighty-five stamps hidden throughout the Sprixie Kingdom. They are found in every world except World Mushroom and World Flower. 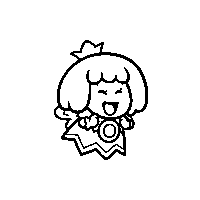 Eighty of them (one per level) are collected in most of the courses and each Sprixie House while five of them are collected when all five characters beat every course (including courses from the bonus worlds). They are used to customize Miiverse posts with a special image of a character or item from within the game. However, on November 7th, 2017, the Miiverse service was discontinued, no longer allowing players to use stamps, although they are still collectible. 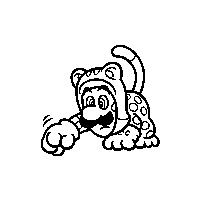 Cat Mario World 1-1: Super Bell Hill Between two Bell Trees near the midpoint lies a Warp Pipe that leads to a room containing the course's Stamp. Coin World 1-2: Koopa Troopa Cave Just after the clear pipe to the last room, there is a rectangular question block. 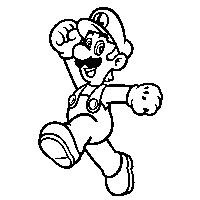 Mario needs to get on top of it and jump to reveal a hidden rectangular question block. Mario then need to jump on top of that block to reveal another, reaching a ledge. 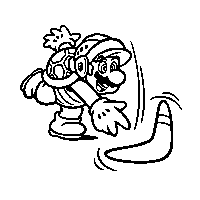 Mario needs to enter the clear pipe on the wall to warp into an enclosure below the ledge containing the Stamp and several coin stacks. Cat Goomba World 1-3: Mount Beanpole The Stamp is between two walls near the beginning of the course. Plessie World 1-4: Plessie's Plunging Falls Halfway through the course, at the end of the zig-zagging section of the river, lies the course's Stamp. Super Bell World 1-5: Switch Scramble Circus Atop the platform closest to the Goal Pole is the course's Stamp. Bowser World 1-Castle : Bowser's Highway Showdown Near the beginning after the set of moving platforms is a wall of gray blocks. A bomb from the nearby cannons must be kicked into the blocks to find the course's Stamp. Mario World 2-1: Conkdor Canyon Right before the set of shifting platforms that lead to the Goal Pole. Goomba World 2-2: Puffprod Peaks Near the beginning of the course are two blue touch screen platforms. The Stamp can be found under the right platform. Piranha Plant World 2-3: Shadow-Play Alley Under the ground during the shadow section, near the Big Piranha Plant. Small Mario World 2-4: Really Rolling Hills Near the beginning to the right, found by hitting a Mario switch. 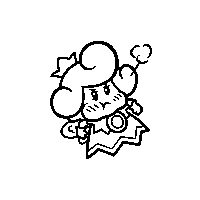 Fire Peach holding a Fireball World 2-5: Double Cherry Pass Right after the checkpoint flag, the player should look for 3 ? Blocks on the left. The player should place one clone on top of the left block, then have another clone hit the block to reach the Stamp. 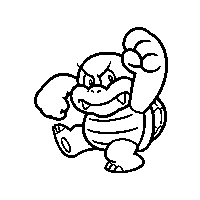 Boom Boom World 2- Tank: Bowser's Bullet Bill Brigade Right after the second green star in a gated area behind some wooden crates. Happy green Sprixie Princess World 2- Sprixie House The Sprixie House is in front of World 2-3 and is available immediately. Para Biddybud World 3-1: Snowball Park Right before the Warp Pipe that leads to the Goal Pole is an ice area with three Snow Pokeys. The Stamp is on a small, circular offshoot. Cat Luigi World 3-2: Chain-Link Charge Shortly after the checkpoint flag is a gated area with a pipe. The Cat Suit must be used to acquire the course's Stamp up the fence. Boo World 3-3: Shifty Boo Mansion Shortly after the large painting with the first green star is a couch, which must be used to ride to the course's Stamp. Small Peach World 3-4: Pretty Plaza Panic Halfway through the level is a Peach switch on a platform, which must be hit to get the Stamp. 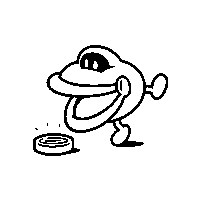 Cheep Cheep World 3-5: Pipeline Lagoon Just past the checkpoint flag, the player must swim up into an alcove with this Stamp. 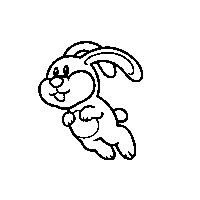 Rabbit World 3-6: Mount Must Dash After the checkpoint flag is a jump pad with several bouncy pads that lead to the Stamp. Stingby World 3-7: Switchboard Falls Right at the end of the level is an alternate track that leads to the Stamp. 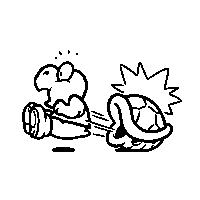 Pom Pom World 3- Train: The Bullet Bill Express Before taking the pipe to the boss, the player must hop into the conductor's room where a Fire Bro is located to find the course's Stamp. Sad yellow Sprixie Princess World 3- Sprixie House The Sprixie House is located northwest of World 3-2 and is available immediately. Ant Trooper World 4-1: Ant Trooper Hill The Stamp is located right above some Ant Troopers in the cave area. Pipe World 4-2: Piranha Creeper Creek Bounce off the Piranha Creeper coming out of the wall after the checkpoint to find a secret area with the course's Stamp. Double Cherry World 4-3: Beep Block Skyway Use the 4-person platform next to the checkpoint to reach the course's Stamp. Mushroom World 4-4: Big Bounce Byway The Stamp is in the middle of two wheels of Para-Biddybuds during the big bouncing platform ride. Spike World 4-5: Spike's Lost City After the long slope at the beginning of the course, there is a ledge near the Spikes that will lead to this level's Stamp. Brolder World 4-Castle : Lava Rock Lair The player must use a Cat Suit to climb up the wall after blasting through the Clear Pipe. Mad blue Sprixie Princess World 4- Sprixie House The Sprixie House can be accessed after beating World 4-B, Fire Bros. Hideout #1. 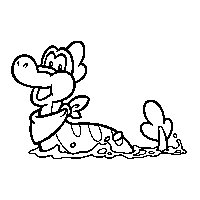 Koopa Troopa coming out of its Shell World 5-1: Sunshine Seaside At the Plessie section, the player must cross the third moving platform, then jump along 3 platforms to get it. Luigi Jumping World 5-2: Tricky Trapeze Theater After the Piranha Plant arena, on the second stair. Small Toad World 5-3: Backstreet Bustle Near the Goal Pole is a Toad Switch. 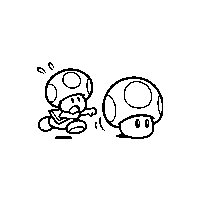 The player must use Toad to press it and earn the course's Stamp. Cat Peach World 5-4: Sprawling Savanna The character must fall into the hole the Ant Troopers enter in the large savanna area. There is a Warp Box leading to a small cave containing a Big Ant Trooper with the Stamp on its back. Bob-omb World 5-5: Bob-ombs Below A cracked portion of the wall must be opened after the checkpoint, revealing a secret area with the Stamp. Peach World 5-6: Cakewalk Flip A Double Cherry is needed to activate a 2-person platform near the Goal Pole. Toad jumping World 5-7: Searchlight Sneak This level's Stamp is located on some blocks after the checkpoint. 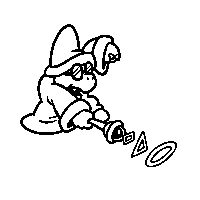 The player must carefully avoid a Spotlight to get it. Chargin' Chuck World 5-Castle : King Ka-thunk's Castle Go to the area with the rolling spiked squares and Chargin' Chucks. Using the Cat Suit, climb up above the third square. Laughing orange Sprixie Princess World 5- Sprixie House The Sprixie House is unlocked after beating World 5-5. 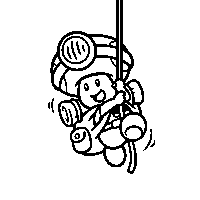 Captain Toad on a rope World 6-1: Clear Pipe Cruise Use a Cat Suit to climb up the Clear Pipe next to the checkpoint. The Stamp is located here. Fire Flower World 6-2: Spooky Seasick Wreck The Stamp is above a group of Peepas inside the cargo ship. Coin Coffer and a Coin World 6-3: Hands-On Hall In the optional area, the player must leave the building through a secret passage in front of the first set of Spikes. There, the player must use a Propeller Box to fly up to the middle roof, where the course's Stamp is. 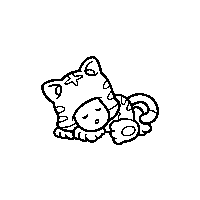 Cat Toad sleeping World 6-4: Deep Jungle Drift Climb up the blue gate located next to Green Star 1. Mario in an Ice Skate World 6-5: Ty-Foo Flurries Hijack the ice skate from the first Goomba, and skate to its right to get it. Stunned Galoomba World 6-6: Bullet Bill Base Climb up a wall just left of the checkpoint, jump on the blocks, then jump again. Fuzzy World 6-7: Fuzzy Time Mine Near the beginning of the course, the stamp is placed behind a compactor. Blockstepper World 6- Tank: Bowser's Bob-omb Brigade After the third green star, Mario must grab a Bob-omb and destroy the cracked wall located behind the Warp Pipe leading to the course's boss fight. Thinking purple Sprixie Princess World 6- Sprixie House The Sprixie House can be accessed immediantly, by taking the Clear Pipe at the bottom of the World 6 Map. 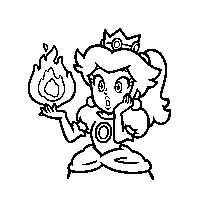 Fire Mario throwing a Fireball World Castle -1: Fort Fire Bros. The player must ground pound the ? block located in the center of the second fire bar. Spiny World Castle -2: Switchblack Ruins After riding the moving platform in a lava-filled room, the player must jump on the walkway on the right to claim it. Super Leaf World Castle -3: Red-Hot Run After the second Green Star, while running along the path on the left side, jump over the gap and collect the stamp above another gap. Brick Block World Castle -4: Boiling Blue Bully Belt On a small circular platform before the Mystery Box. Magikoopa World Castle -5: Trick Trap Tower After Mario reaches the top of the first tower, he should drop off the left side of it to find a cloud platform holding a stamp. Blooper World Castle -6: Rammerhead Reef In the final Rammerhead section, in a high alcove. Boomerang Flower World Castle -7: Simmering Lava Lake After the checkpoint, on a lower level. 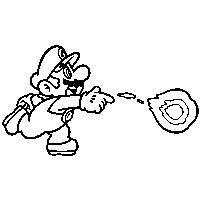 Boomerang Mario Throwing a Boomerang World Castle -Castle : Bowser's Lava Lake Keep At the top of a shaft, trapped by Rock Blocks. 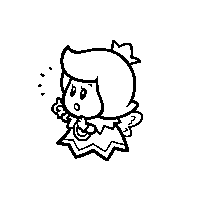 Surprised cyan Sprixie Princess World Castle - Sprixie House The Sprixie House can be accessed by beating World Castle-3. 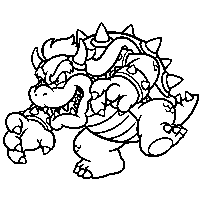 Parabones World Bowser -1: Spiky Spike Bridge Near the checkpoint, on an orange spike path leading southwest.
? Block World Bowser -2: Plessie's Dune Downhill The player should ride Plessie in between two Bowser sand statues to find the course's Stamp. Boomerang Toad holding a Boomerang World Bowser -3: Cookie Cogworks Take out the first Ant Trooper line to reveal a small compartment containing the stamp. 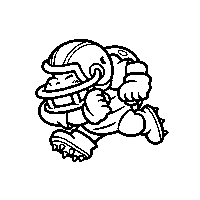 Conkdor with its head down World Bowser - Train: The Bowser Express While inside the train car, ground-pound the second ? block to access the course's Stamp. Bullet Bill World Bowser -4: Footlight Lane On invisible stairs, and the right side of a Cat Bullet Bill Launcher. Madpole World Bowser -5: Deepwater Dungeon In the top-left corner of the first spike section. Small Luigi World Bowser -6: A Beam in the Dark After passing the first POW block, press the Luigi switch to get it. Skipsqueak World Bowser -7: Grumblump Inferno After the first downhill section, above a Hammer Bro..
Meowser World Bowser -Castle : The Great Tower of Bowser Land Atop a Bell Tree near the Goal Pole. 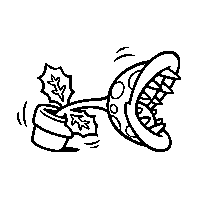 Scared red Sprixie Princess World Bowser - Sprixie House The Sprixie House can be accessed by beating World Bowser-4. Checkpoint Flag World Star -1: Rainbow Run Stick to the right side of the Plessie section. Small Rosalina World Star -3: Rolling Ride Run Press the Rosalina switch after the checkpoint to get it. 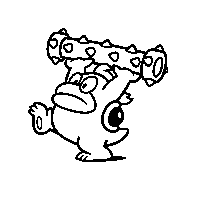 Tanooki Mario World Star -4: The Great Goal Pole The player must surpass the first Walleye to find the Stamp. Kitsune Luigi World Star -5: Super Block Land Behind a gigantic Brick Block, at the very bottom of the stage. 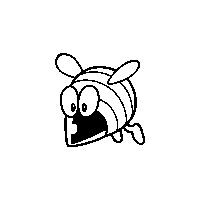 Octoomba World Star -6: Honeycomb Starway On a hard-to-get side that can be claimed by the boomerang suit. 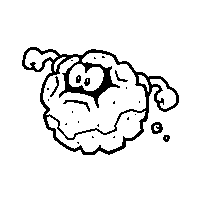 Mega Mushroom World Star -7: Gargantuan Grotto Encased by Rock Blocks that can be destroyed by the Mega Mushroom. Cat Rosalina World Star -8: Peepa's Fog Bog On the far right side of the bridge area. Cannon Box World Star -9: Cosmic Cannon Cluster Found when the player fires a charged shot at the first four ? blocks. 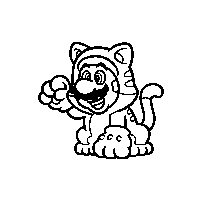 Climbing Cat Mario World Star - Sprixie House The Sprixie House is located south of the Captain Toad level. Lucky Cat Mario World Crown - Crown: Champion's Road In plain sight at the end of the level, on the steps leading to the flagpole. 8 Bit Luigi World Crown - Sprixie House The Sprixie House is located on the bottom-right corner of World Crown. Super Star World Crown - Mystery Box: Mystery House Marathon In the final room. Captain Toad Character Icon World Crown - Captain Toad: Captain Toad's Fiery Finale In plain sight at the end of the level on the cloud. Mario Character Icon Stamp - Complete all levels as Mario. Luigi Character Icon Stamp - Complete all levels as Luigi. 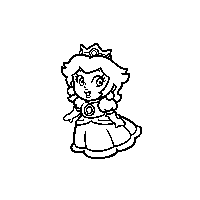 Peach Character Icon Stamp - Complete all levels as Peach. 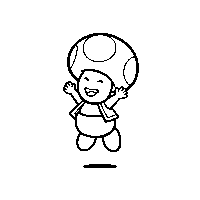 Toad Character Icon Stamp - Complete all levels as Toad. 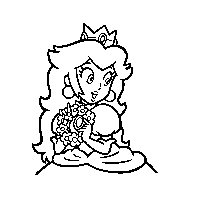 Rosalina Character Icon Stamp - Complete all levels as Rosalina. 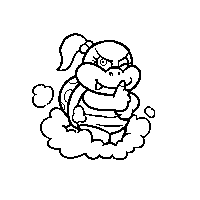 Making a Miiverse post with Stamps. 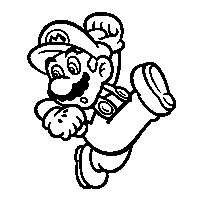 Mario running towards a Stamp. This page was last edited on December 21, 2018, at 02:17.